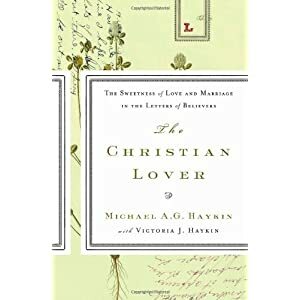 The Christian Lover by Michael Haykin is a small collection of letters between husbands and wives written by a variety of Christian people in history, some well known, some less so. The history spans from the Reformation to the 20th century. I enjoyed reading it and found it something of a challenge. The book shows the hearts of men and women who valued putting into writing what they felt about each other. I am sure it is a value which is being lost in a generation dominated by desires for anything but a good marriage, and where writing skills are being diluted by the ubiquitous presence of email and texting. It is a small book and only 100 pages, so well worth reading. PS. You can listen to a discussion of the book with the author on the Reformed Forum.